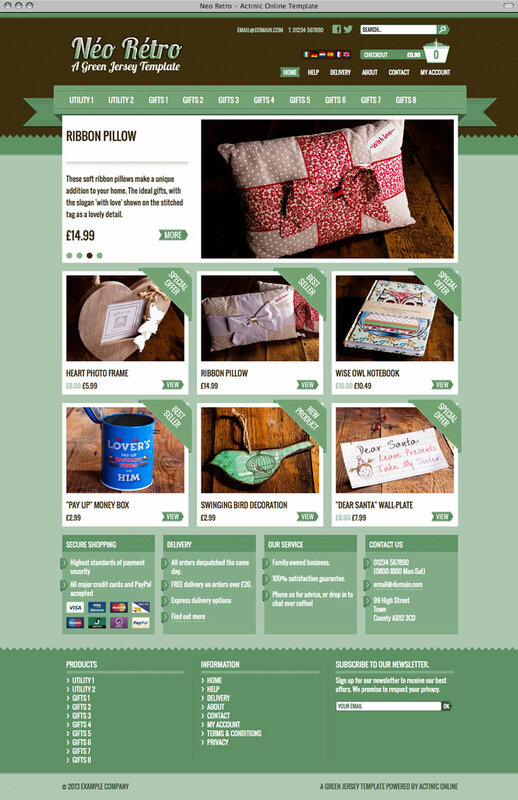 Following it's launch last year, we worked closely with Green Jersey to develop this stunning ecommerce template..
Actinic's new SaaS ecommerce system is a powerful and low-cost hosted service for anyone who wants to build an online shop - however, it comes pre-loaded with a selection of tired-looking templates which, whilst functional, do not offer much inspiration and make sites on the service looks dated. Green Jersey Web Design have been working with Actinic for many years, providing design and development services for Actinic's desktop product ("Sellerdeck"), and were keen to explorer this new system. Using the designs produced by Green Jersey, we build the template around Actinic - pushing the system beyond it's limits. The inflexible nature of the environment was difficult to overcome, but the end results speak for themselves. 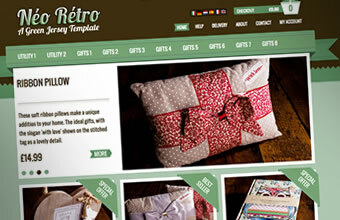 Find out more about Neo Retro and Actinic on Green Jersey's website.